One Sunday morning the 12 to 14 year olds in the GAP group considered the sort of questions that a new-comer of their age might ask. The questions were printed and given to a number of Church members to answer. How would you answer them? What questions would you ask? 1. Why didn’t you stay in bed this morning like most people in your street? It’s worth getting up – I like going to Church. I would miss what life is really about. To worship together with others and to learn. Listening, praying and singing songs of worship to God. 4. Why do you keep standing up and sitting down? We often stand when we sing. It helps me concentrate. It’s a tradition in our Church. 5. Why are there so many seats in this Church? – How many are there? Many people enjoy coming together to praise God. There are about 250 seats. There is always room for extra people. 6. Why do people sing in Church? Praising God for what He has done. Each song tells a story of God’s love for us. 7. I don’t sing when the others sing – do you? Yes – I enjoy singing. I try to sing but my voice is not too good. 8. Why do you bother helping poor people? Because God said we should. I am following Jesus’ example. Because God gives me a caring heart even for people would normally find difficult to like. 9. Why do you pray for sick people? To ask God to help them. The Bible says that if you pray for the sick they will be healed. I know people who have been healed. 10. Is God or Jesus here now? – which one? Yes – both of the one of them! 11. Why do people read from the Bible in Church? 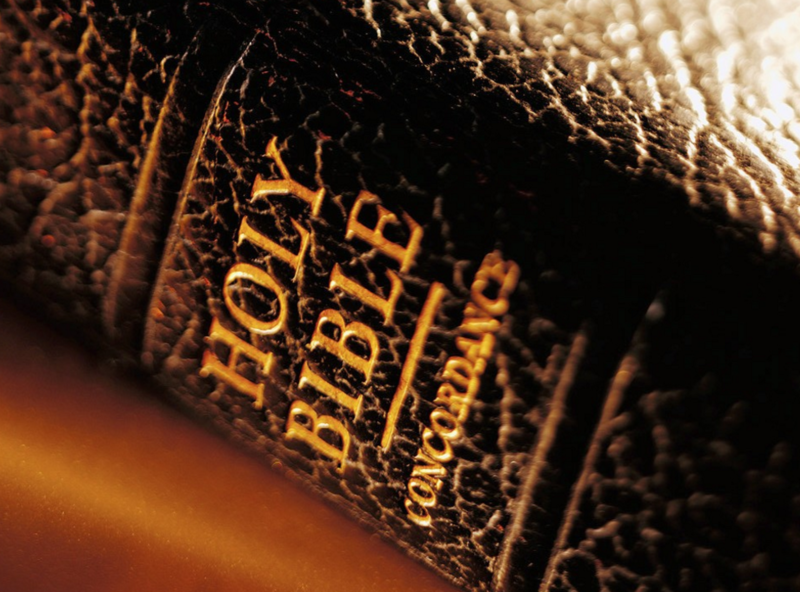 We believe that the words in the Bible although written by people are inspired by God. To learn more about Jesus. To find out how God wants me to lead my life. 12. Do you have a Bible at home? – Do you read it? – How often? Yes – Sometimes. Most days I read a few verses. Yes – everyday. 13. What are the bread and wine for? To remember that Jesus died for us. They are symbols for the body and blood of Jesus who was a sacrifice for us. Jesus told his followers to do this to remember him. 14. Where does the collection money go? – How much do people put in? All sorts of things – Church heating, Vicar’s pay, materials for outreach, charities. However much they can afford. Some put in 10% of their income. 15. Why doesn’t the vicar wear normal clothes? Because he is not normal! is easier for newcomers to recognise who they are. 16. You go to Church on a Sunday – does any thing happen the rest of the week? 17. Why do people have their babies baptised? Baptised as teenagers or adults later. 18. Were you Baptised? – Why? Yes – My parents wanted me to be baptised. Yes – as an adult to show my intention of being God’s. 19. Do you know your Godparents? 20. Godparents – What are they supposed to do? – Are you one? – Do you do it? Pray for the child and support them with the parents. 21. What are the candles for? To focus our attention and make us think of Jesus as the light of the world. They remind me of the presence of God. Because in the past the Jews would light candles as they prayed. 22. Why is that very big banner with poles different to the others? So it can be carried when we walk round the streets. It reminds us of the life of St Margaret while most of the banners are based on a Bible verse. 23. What is that thermometer on the window all about? We collected signatures for Jubilee 2000 to present to a meeting of world leaders in Birmingham asking them to free poor countries of the debts they have no chance of paying. The thermometer showed how many signatures we collected. 24. Do you believe all those things in the creed? Yes Yes – I do not understand them all but I have faith to believe them. 25. Did God make the world or was it the big bang? I think God was there at the start. If there was a big bang then God made it happen. Does it matter if God is in control? 26. How can Jesus be God if God is God? God the Father, God the Son and God the Holy Spirit – These are different ways God reveals himself to us. Your mother might be a sister, a teacher and an auntie – all at the same time! 27. How could Mary be a virgin? – She can’t if she had a baby? Mary had her baby the way God intended her to have it. If God created the world he can do anything! – so what’s the problem? 28. How could God make the world whole world, make Adam and Eve and make himself be born and and come alive again? God can do anything because He is God. Why do we always want to think of God as having the same limits that we have? 29. How can you believe all that stuff? Most of it – and I am working on trusting God enough to believe the rest.